The trick to using Photoshop's toning presets is knowing where to find them. Color trends come and go, though when it comes to photographic treatments, some color effects are here to stay. For example, adding a brown tint to a black and white image produces a sepia tone that evokes a vintage or romantic feel. Likewise, adding pastel pink or blue—Pantone’s colors of the year are rose quartz (13-1520) and serenity (15-3919)—to a black and white image evokes a soft, dreamy feel. These ageless and classy techniques limit the photo’s color palette, which puts focus on the image content. Similarly, cross processed looks are wildly popular, though with this effect you keep the image’s color yet shift it in interesting ways (the term refers to dark room days where the color shift was produced by processing the image using the wrong chemicals). While crafting these effects yourself can feel daunting, it doesn’t have to. As luck would have it, Photoshop CS6 and later include 38 photographic toning presets that you can apply as a gradient to produce subtle yet gorgeous color tints. The trick is knowing where to find them. And since you get slightly different results when using the toning presets on a black-and-white image versus one that’s full color, this column takes a look at both. The first step is to open an image and then convert it to black and white. There are many ways to do this: you could do it in the Camera Raw plug-in or filter, you can do it in Lightroom and then pass the image off to Photoshop, or you can use a Black & White adjustment layer (the latter method sports a Tint option that lets you apply one color to an image, but not the gradients we’re seeking here), etc. We’ll use my favorite method: a Gradient Map adjustment layer (which also happens to be where those toning presets live). 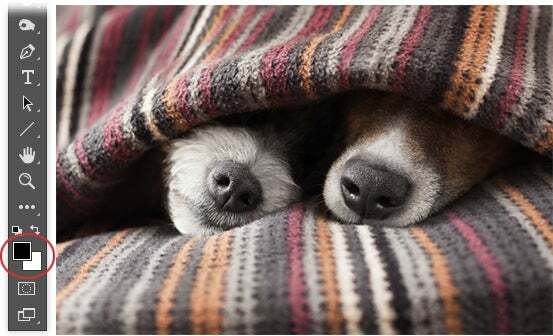 Because this adjustment layer uses the foreground and background color chips (circled here), press the D key on your keyboard to set them to their default values of black and white and then tap the X key to flip-flop them so black is on top and white is on the bottom. Here you see the full-color image and the color chips at the bottom of Photoshop’s Tools panel. 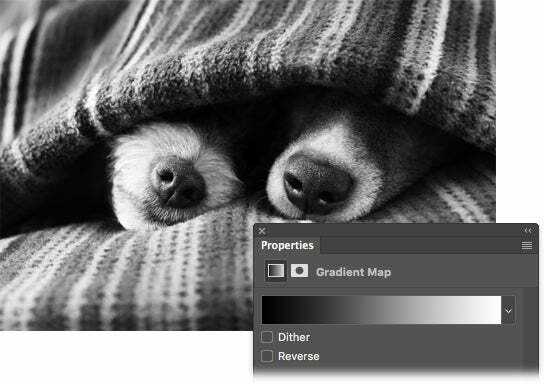 As you can see here, a Gradient Map adjustment layer can create awesome black and white images. Now let’s add a toning preset. With the Gradient map adjustment layer active, duplicate it by pressing Command-J. With the duplicate layer active, trot over to the Properties panel and click the down-pointing triangle to the right of the gradient preview. From the menu that opens, click the tiny gear icon and then choose Photographic Toning. Click Append in the dialog box that opens and the new presets appear last in the list. The rest is easy: single click each preset until you find one you like. 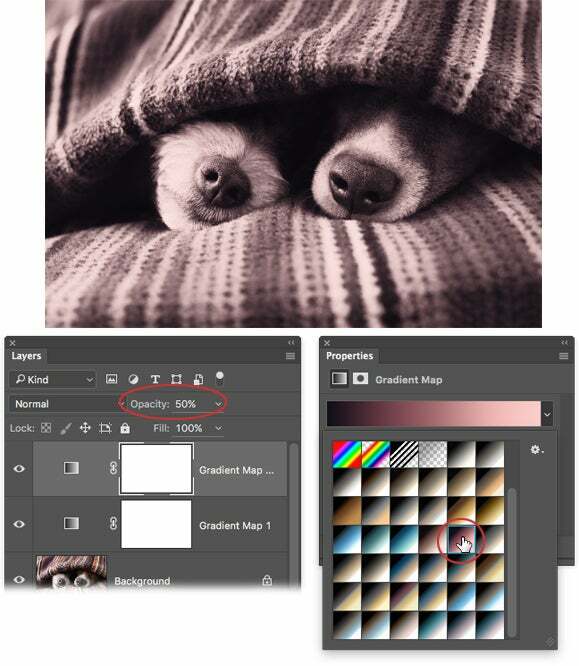 Use the Opacity setting at the top of the Layers panel to control the strength of the tint. Here the Copper 2 preset was applied at 50 percent opacity. It’s worth noting that this method doesn’t produce a true grayscale image. If you peek into Photoshop’s Channels panel, you still see red, green, and blue channels. This is really only important if the image is headed to an offset printing press wherein the cost of printing can be lowered by reducing the number of colors in the image. 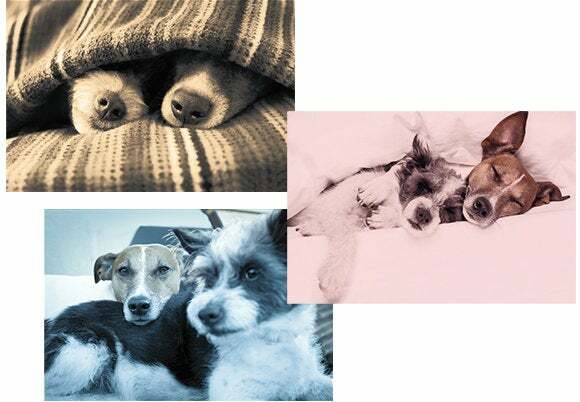 To produce a true grayscale image, you must change the document’s mode to Grayscale. Once you do that, you gain access to Duotone mode where even more toning presets live (great fodder for a future column). To shift the colors in your image without going black-and-white first, you need one Gradient Map adjustment layer and it doesn’t matter what colors your foreground and background color chips are set to. So add a Gradient Map adjustment layer and, if you haven’t done so already, load the Photographic Toning presets as described above. Click the preset you want to use and then adjust layer opacity until you’re happy with the effect. 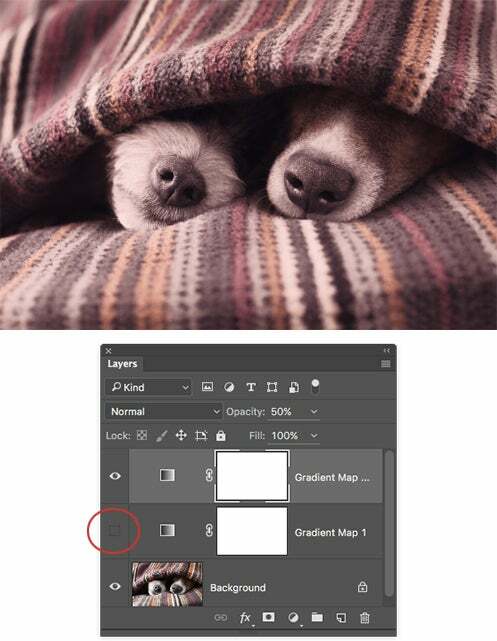 If you’re following along, you can hide the black-and-white effect by turning off the layer visibility (circled) of the first Gradient Map adjustment layer. As long as you save the file in Photoshop format, you can play with other toning presets anytime you want by double-clicking the Gradient Map adjustment layer’s thumbnail to reopen the Properties panel. You can also experiment with changing the Gradient Map adjustment layer’s blend mode, and opening the Gradient Editor to customize the presets—the creative possibilities are endless. Until next time, may the creative force be with you all!